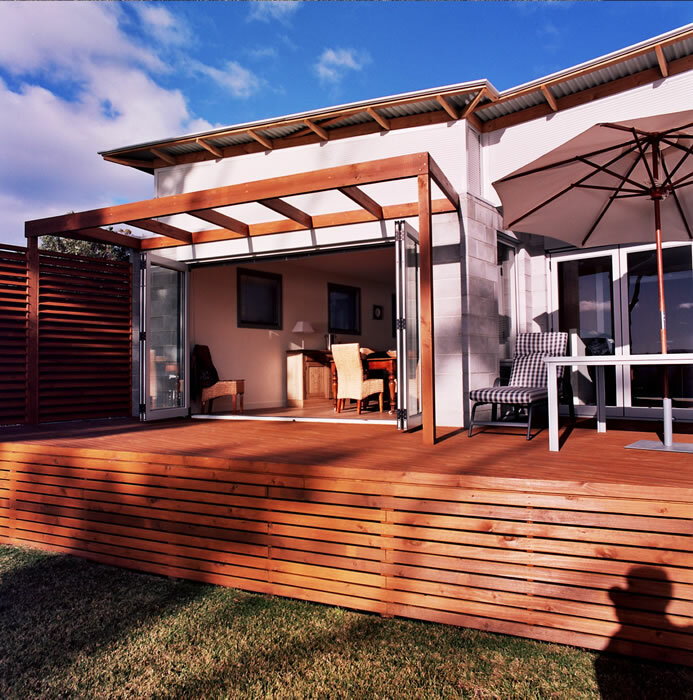 This beach holiday home is successful, due to a rare combination of a great site, and an excellent working relationship between client and designer. 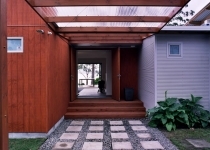 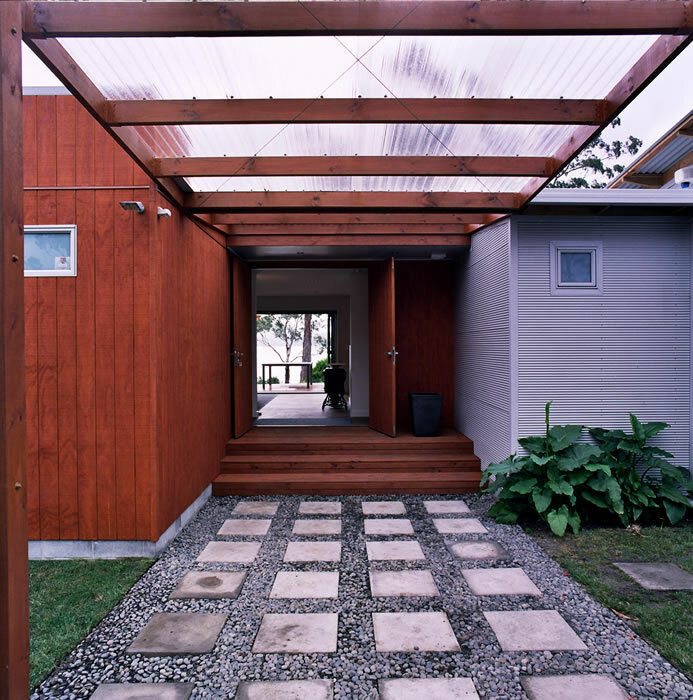 The structure and layout of the house is simple and has been built sympathetic to its environment. 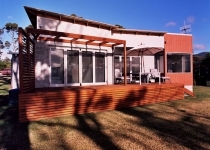 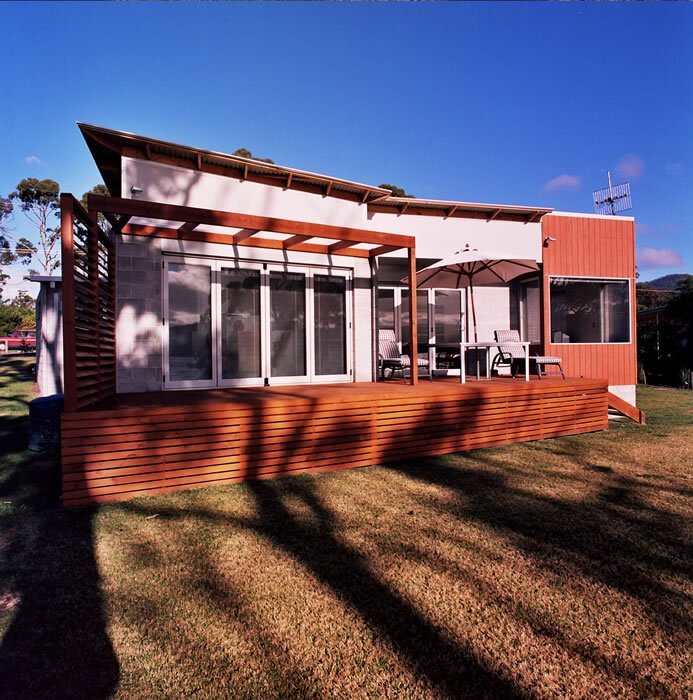 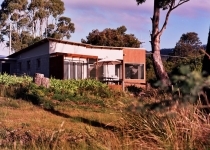 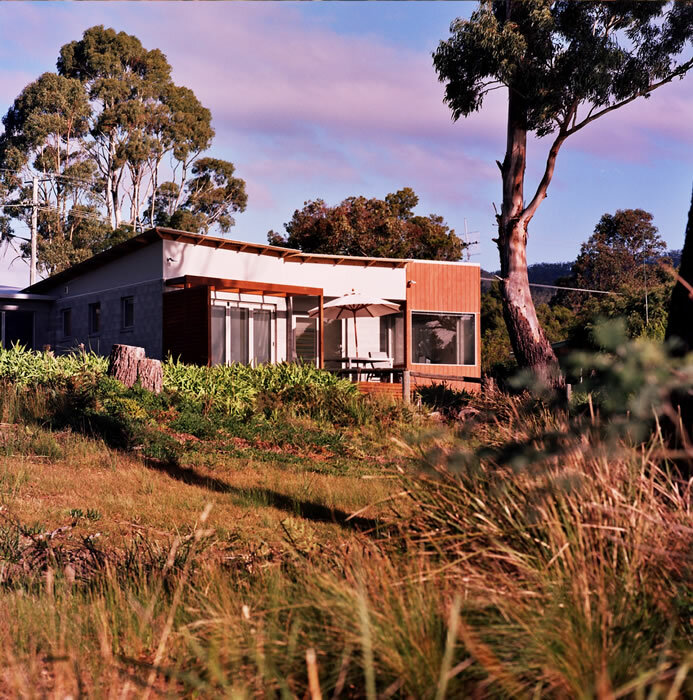 With simplicity and low maintenance in mind, an inexpensive raw look of natural grey common blocks, with corrugated iron and timber was chosen. 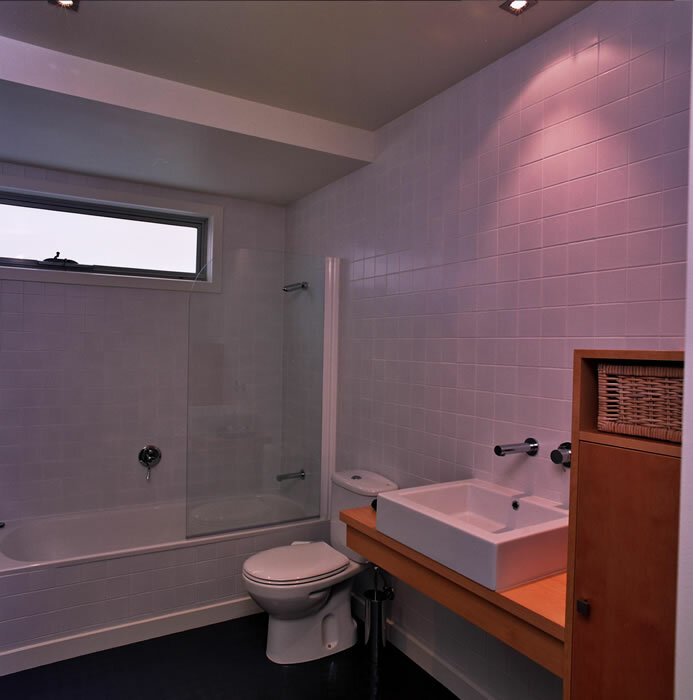 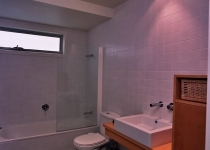 The interior design is also simple and uncluttered. 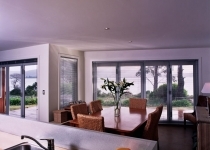 Doors and windows are positioned to provide water views right through the house even from the main entrance door. 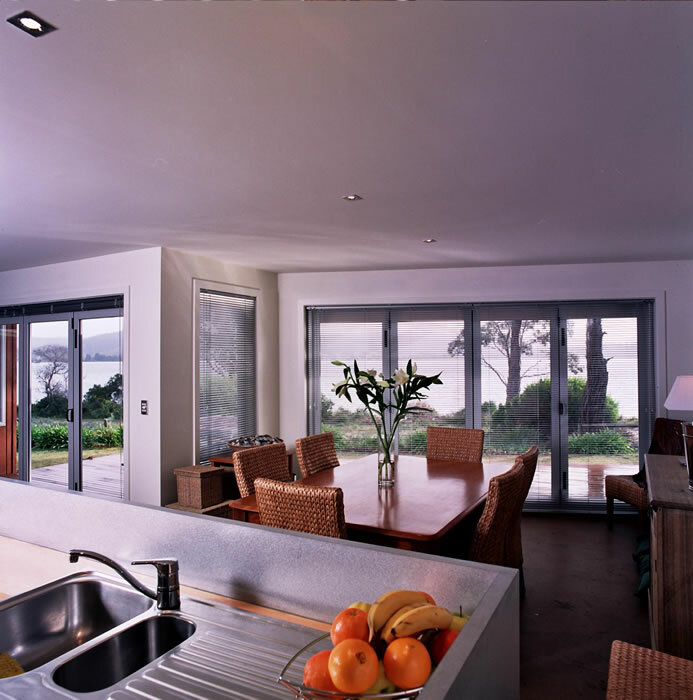 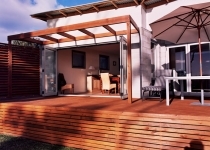 The dining/meals area has been designed with a bi-fold door opening to the deck, allowing for extra space to cope with the ebb and flow of family and friends.